What better way to spend a rainy day than making Plumberry Jam. 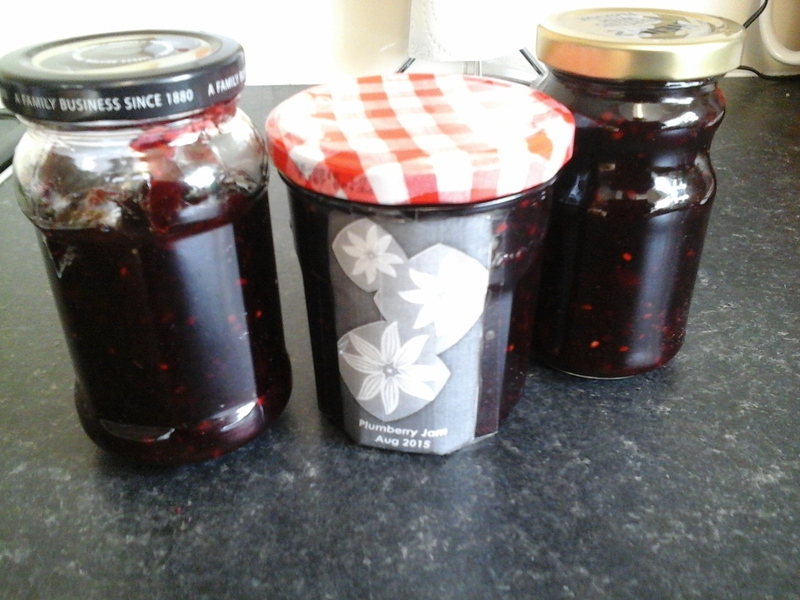 Blackberries and plums from the garden. 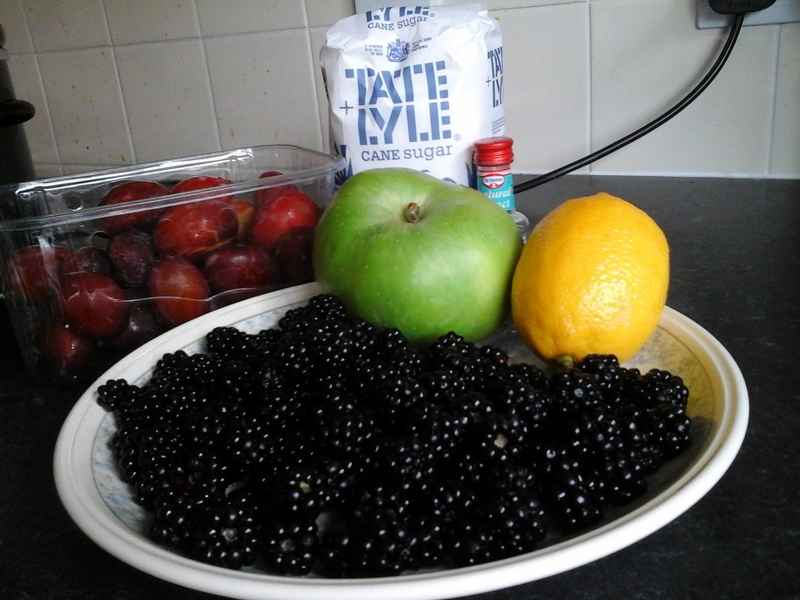 225g cooking apples, 225g plums, 225g blackberries, 3tbsp of water, 2tbsp lemon juice, 600g sugar. Cook apples and plums for 10min (until soft). Add blackberries and lemon juice and cook until soft. Then add the sugar and stir until dissolved. Boil until a jam consistency is reached. This entry was posted in cooking, gluten free and tagged cooking, ingredients by suzannerogersonfantasyauthor. Bookmark the permalink. Looks nice, hope it tastes nice.